The Navajo Nation extends into the states of Utah, Arizona and New Mexico, covering over 27,000 square miles of unparalleled beauty. The Navajo Reservation is home to more than a dozen national monuments, tribal parks and historical sites, and is peppered with a dozen lakes and ponds - Lake Powell alone has 186 miles of Navajoland shoreline. Here you can step back in time and see how the ancient ones - the Anasazi people - lived thousands of years ago. The Navajo Nation has an array of ancient ruins, including the world renowned Navajo National Monument and the tranquil Chaco Culture National Historical Park. From the towering formations of Monument Valley to the majestic red sandstone walls and lush green valley floor of Canyon de Chelly, this is a land of great contrasts. We invite you to discover Navajo. 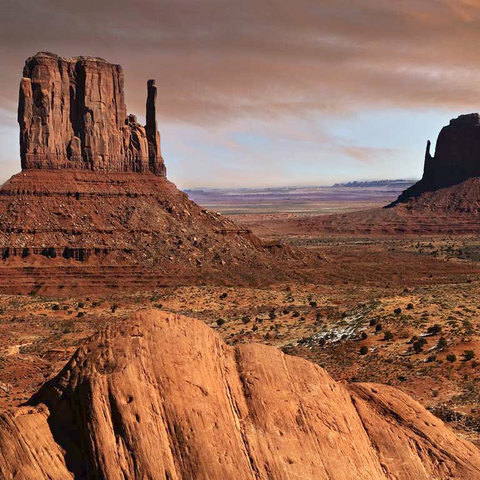 Among more than 500 Indian tribes and 318 reservations, the Navajo Nation is the home of the largest American Indian tribe and sprawls across northeast Arizona, New Mexico and Utah. 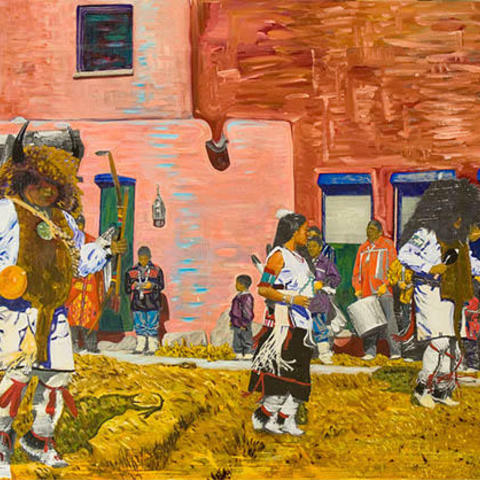 Navajos are believed to have originally migrated from western Canada and belonged to an American Indian group called the Athabascans. According to scientists, some Athabascan bands first came into the American Southwest around the year 1300. Some settled in southern Arizona and New Mexico and became the different Apache tribes. Apache languages sound very much like Navajo. 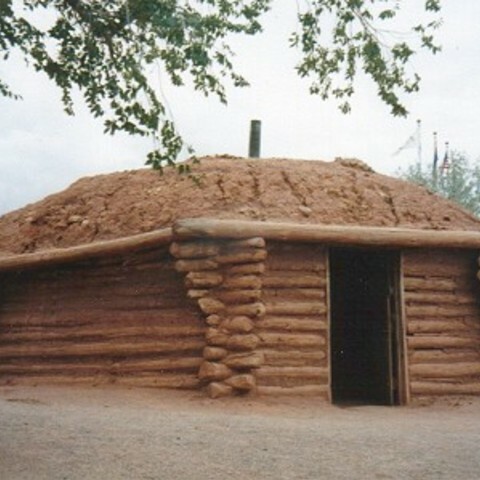 By the year 1700, Navajos were living in northern Arizona, New Mexico, southern Colorado and Utah, then part of Mexico. They gave their land the name of Diné tah. By 1848, the Americans had defeated the Mexican army and annexed the above states. During those days, Navajos and the Spaniards were constantly waging war. At the same time, the Navajos and the Pueblos were fighting against each other. Navajos also fought against Mexicans, New Mexicans and Americans. In 1864, thousands of Navajos were forced to surrender to American soldiers and endured "The Long Walk" to Fort Sumner, New Mexico where they lived in horrible conditions. 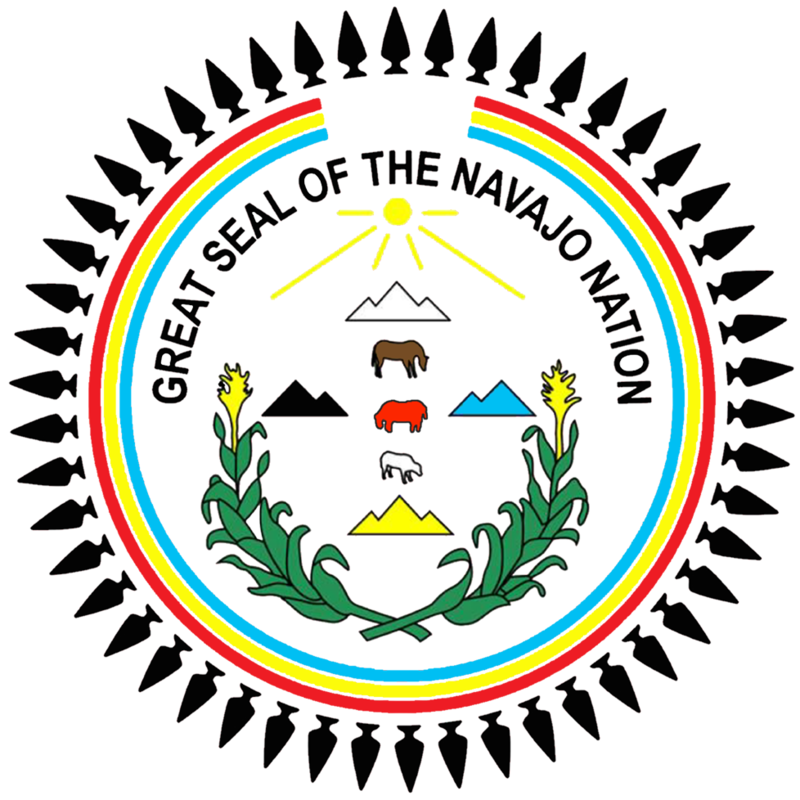 The Navajo Reservation was established with the signing of the Treaty of 1868, when they were finally allowed to return to their homeland. At that time it was a small area, covering a territory containing Fort Defiance, Chinle, Many Farms and Shiprock. 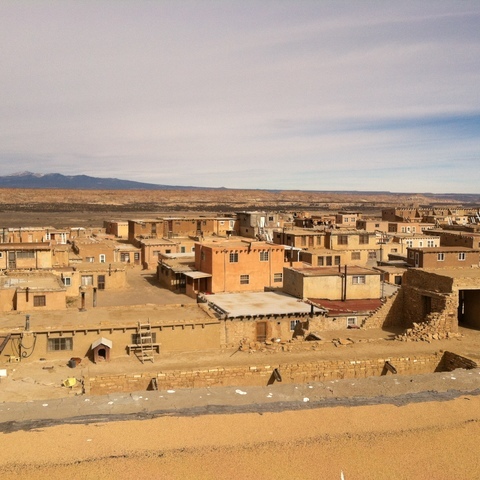 Since then, the Navajo Reservation has expanded significantly to 27,000 acres. The Navajo Nation is situated on the southwestern Colorado Plateau. Very often, the size of the Navajo Nation is compared to that of the state of West Virginia. It is the largest reservation in the United States and is characterized by arid deserts and alpine forests with high plateaus, mesas and mountains reaching 10,388 feet in altitude, as well as low desert regions. Volcanic activities and wind and water erosions have formed and carved the Navajo Nation's many majestic mesas, mountains and canyons. Navajoland boasts a number of world-renowned scenic wonders of the Southwest: e.g., Canyon de Chelly, Shiprock Pinnacle, Monument Valley, and the Chuska Mountains. The traditional Navajo land is encompassed within the Four Sacred Mountains that were created by the Holy People for the Navajos. In the east is 'Sisnaajinii' -Mt. Blanca; in the south is 'Tsoodzil' - Mount Taylor near Grants, N.M.; in the west is 'Dook'o'oosliid' - San Francisco Peak near Flagstaff, A.Z. and in the north is 'Dibe'Nitsaa' - Mt. Hesperus. The continental climate has cold winters, hot summers, and average annual precipitation ranging from less than 6 inches to more than 20 inches in the mountains. Usual temperatures range from 0 degrees Fahrenheit to the mid-80s, but can drop as low as -30 degrees F., and may reach 100 degrees during the hottest summer days, but these extremes are rare. Even after a hot day, expect a balmy night in the 50s. Monsoons concentrate most of the annual rainfall in July and August, but don't be surprised to wake up on a winter morning with a white blanket of snow on the ground. 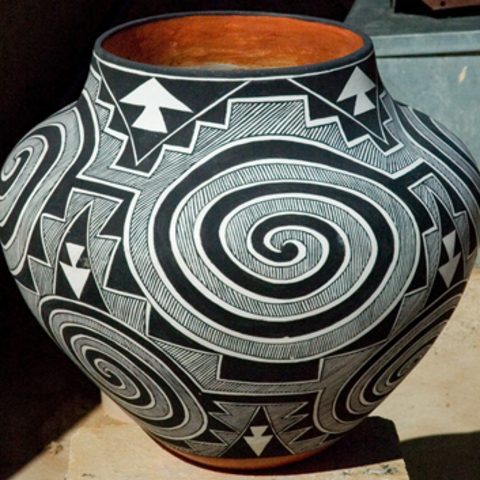 The number four permeates traditional Navajo philosophy. In the Navajo culture there are four directions, four seasons, the first four clans and four colors that are associated with the four sacred mountains. Navajo women believe the art of rug weaving was taught by Spider Woman, who constructed a loom according to directions given by the Holy People. Miss Navajo Nation's role is to exemplify the essence and characters of First Woman, White Shell Woman and Changing Woman and to display leadership as the Goodwill Ambassador. Miss Navajo Nation represents womanhood and fulfills the role of grandmother, mother, aunt, and sister to the Navajo people. Therefore she can speak as a leader, teacher, counselor, adviser and friend. The Navajo Nation recognizes Daylight Savings Time, even though the state of Arizona does not. Please be aware of this while on your tour! When it is 2 PM in Arizona, it is 3 PM on the Navajo Nation. Whle traveling on the Navajo Nation, please remember that you are on a sovereign, self-governing nation; please obey all tribal laws and regulations. You do not need a passport to travel on Navajo Nation land. Navajo law enforcement have jurisdiction within the boundaries of Navajo land and roads, but also have jurisdiction in certain areas of the state of New Mexico, Arizona & county highways & roads. In turn, state & county law enforcement also have cross jurisdiction in certain areas of the Navajo Nation. Do not enter any areas that are marked off-limits, or that have been told are off-limits. If in doubt, ask. Rock climbing and off-trail hiking are prohibited. Off-road travel by all terrain vehicles, dune buggies, jeeps and motorcycles is prohibited on back country roads. Do not disturb or remove animals, plants, rocks or artifacts. Do not litter, burn debris, or bury trash. Please place refuse in trash containers. Visitors are welcomed with open arms in Navajoland, but don't forget that residents here-just like people in your hometown or any community- like to be treated with respect. Respect the privacy and customs of the residents and the integrity of the structures at all times. Cameras are not always welcome, and you should secure permission before photographing, videotaping, sketching or audiotape recording any event. When you do take photos, keep in mind that a gratuity is always appreciated. Special permits are required when photographing for commercial use. Try to be unobtrusive when visiting a Navajo performance or event. Be patient and considerate- don't push to the front of a crowd or block anyone's view. Unless absolutely apparent that it is okay, do not applaud. Pow-wows and dances are sometimes exhibited for the benefit of the tourists in public forums. However there are dances such as the Squaw Dance, Fire Dance and others are mostly held for Navajos by Navajos. Many of these events are of a religious nature and should be accorded the same deference as a church or prayer service, even if tribal members behave informally. Before attending an event or dance confirm that visitors are welcome. Remember that religious matters are very private and personal; probing questions are not appropriate. Some traditional ceremonies are not open to the public, so if you are asked to leave, please do so quickly and quietly. When you are on Navajoland, you'll quickly notice how many people speak Navajo. 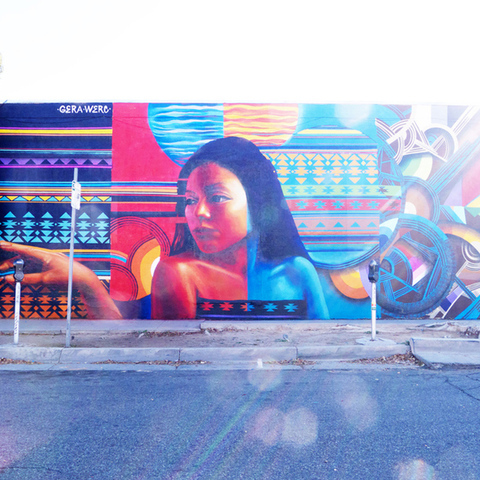 But English is also spoken by the vast majority of Navajos, so do not hesitate to communicate. If you encounter a Navajo who does not speak English, you should have no problem finding someone eager to interpret. Do not enter a home uninvited. Do not knock on a door and asked to be shown around. Do not throw objects, especially in or near Navajo sacred sites. Observe quiet hours from 11 p.m. to 6 a.m. in all public areas. The use of teepees on the Navajo Nation is strictly for religious purposes. Please show respect and do not intrude.